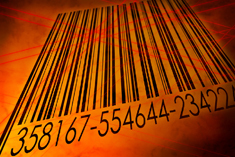 Barcode technology has slowly become an essential part of modern civilization. If you have ever made a purchase, received medical care or travelled, barcode technology was part of that experience. Barcodes are an easy, affordable and still very viable way to track items such as records, assets, items, and even people! The key component behind barcode technology is the software application used to store, manage and process the information. At Southwest Solutions Group we specialize in making sure that the application fits our clients; not the other way around! Barcode applications can be small scale or enterprise wide. They can be an integral part of a records creation and management system and also provide a gateway to seamless and organized digital conversions. Stop LOOKING for information and start USING it! Did you know that we spent 20-40% looking for records and actually on 5-10% using the information we need? There are dozens of studies that validate the enormous cost implications of missing and/or lost records, not to mention the litigation risk. Barcode tracking provides users with a standardize way to capture information about a record and links that information to a simple barcode label creating a catalyst for a strong records management plan. Managing our information when it is no longer active can be one of the most cumbersome stages of the record lifecycle. If you’re not creating your records using a records management application, boxed and inventorying the contents can require extensive resources. Additionally, off-site storage costs, if not managed with a strong retention plan, can continue to rise every year. Many organizations have moved towards their own Archive Facility. Southwest Solutions Group has helped clients through this process with Warehouse equipment and workflow planning and barcode tracking applications. Our archive management module works seamlessly with our records management applications allowing seamless transition from creation to destruction in one easy system. Departments can be added one at a time or enterprise wide. Retention schedules can be applied during the active and archive stages to allow archive managers to keep the warehouse functioning as efficiently as possible. Click here for more information about how Barcode Records Management Technology can help your organization.